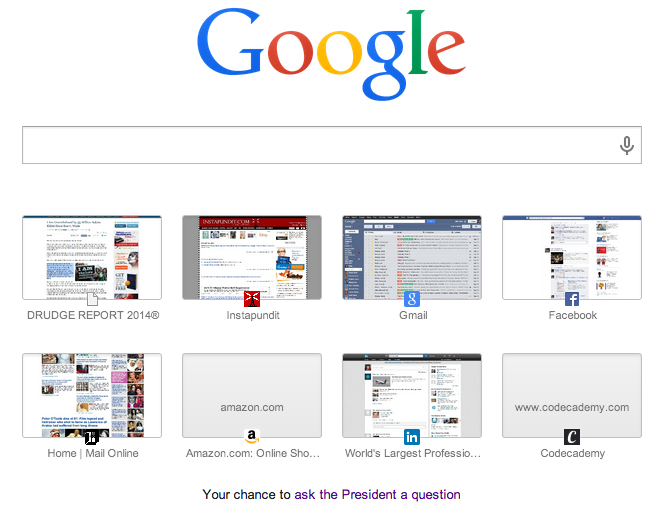 "Your chance to ask the President a question"
...which resolves to this page plugging President Obama's upcoming State of the Union address and his policy agenda. Google is now quite openly serving as a propaganda machine for Obama... while at the same time allowing me to publicly criticize them on one of their products, Blogger... It's a trade off.